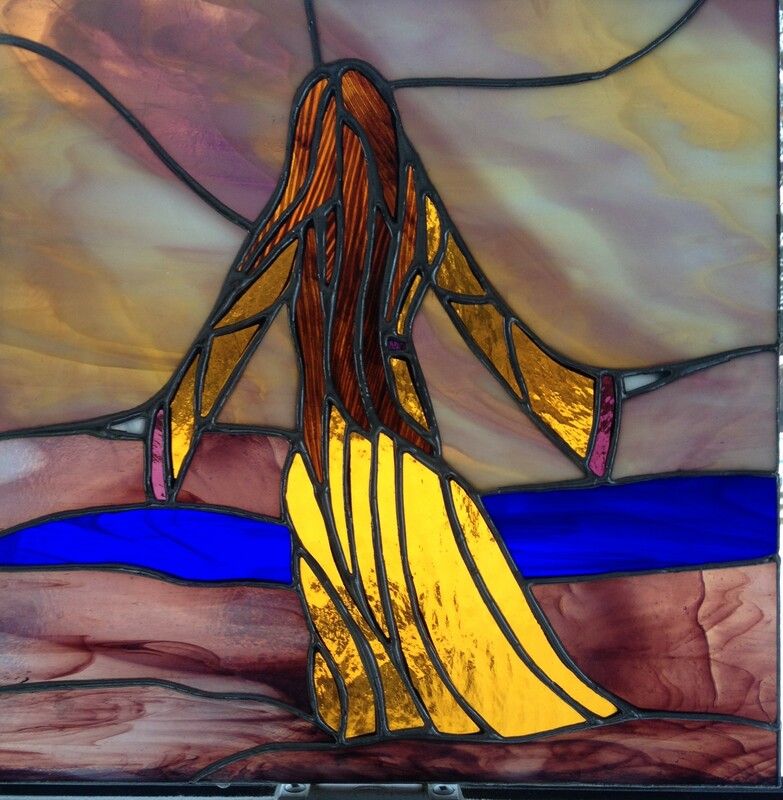 Good-bye Girl stained glass panel 12″ x 13″ and gorgeous. This is the back when lit by the sun. 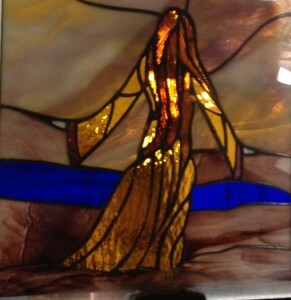 This Good-Bye Girl seems to be walking quietly away with her gown and long hair flowing behind her. The muted purple/gold colours of the land and sky work so well together, especially when adding just a sliver of a lake in the distance. This panel is 12″ x 13″ and the flowing gown and hair absolutely shimmer and shine when back lit.